Electronic shock protection alerts upon impact such as glass breakage. Be notified of vehicle disturbances instantly in your home or office. Keep unwanted bodies out of your open air vehicle. Pinpoint your vehicle's (or teenagers) location at all times. Enjoy the convenience and safety of unlocking your doors and trunk remotely. Get a head start on the extreme weather from the comfort of your home. Control vehicle functions such as door lock/unlock or engine starting by phone or internet. There is no worse feeling than coming out of a local establishment and finding that your car has been broken into or stolen. This can easily be avoided through one simple purchase: a car alarm security system. There are a few things to consider before you purchase your car alarm security system. There are many companies that will claim that you need their system because they offer the best security systems around. Here are the things to look for when you are choosing a car alarm security system for yourself. A two-way paging auto alarm is a fantastic thing to have because it allows you to know exactly when your car has been stolen or broken into. This is especially important in catching the thief before he or she gets away with your vehicle. Your car may be stolen during the night or while you are away. This leaves you with a missing vehicle and no way to find it. Not so if you have the GPS VehicleTracking System in your automobile car alarm. GPS tracking allows you to monitor your car's location even if you are not in it. This is helpful when there has been a lapse in time from the moment your car was stolen and you discovered your stolen vehicle. Also check thatRadar Detectorof yours, some radar detectors now have GPS Technology built into them. Keyless entry is a vital security measure that may save your life someday. Take, for example, a deserted parking lot. You walk slowly to your vehicle, only to notice a person walking behind you. You can quickly access your vehicle and be safely inside in seconds. Also, with keyless entry, a thief cannot enter your vehicle by bypassing the keyhole. This is an added security measure that slows a potential thief down and may deter him or her from breaking into your car. Remote start is a great thing to have, especially in cold or bad weather. With remote start, your vehicle can start up and begin warming, defrosting, or cooling down with a push of a button. 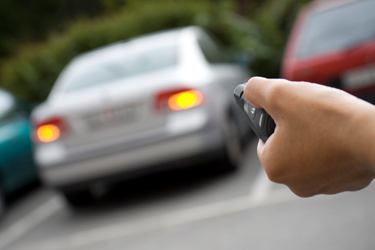 Remote start also helps when you are faced with a dangerous situation and need to get away from the area quickly. Most remote start keypads have an alarm button included, which comes in handy when you need to trip your car's alarm in an emergency. Any good automobile security system will include remote vehicle operation. This includes valet mode which adjusts your car to less sensitive settings for valet parking. It also includes a siren mode which can be triggered when the car alarm is set off. It also may have the capability to restrict vehicle use or disable the vehicle if it is known to be stolen. Regardless of the automobile security system that you purchase, you will feel a sense of relief and safety in knowing that you have added measures in place in the event of a crime or emergency. Look over the best security systems before you purchase your car's system. You won't be sorry.